Sgt. 1st Class Daniel Aaron Romero was a Special Forces Communications Chief for B-Company, 5/19th Special Forces Group (A), Colorado Army National Guard. He provided specialized resource management, effective communication, operations, tactics, communication operations, psychological operations, unconventional warfare planning, intelligence collection and processing to ensure his unit’s combat readiness. Born in February of 1972, Sgt. 1st Class Romero began his distinguished military career with an enlistment in the Colorado Army National Guard December 18, 1991. He was a traditional guard member and was self-employed. He attended basic training at Ft. Jackson, South Carolina in July of 1992, Advanced Individual Training at Ft. Gordon, Georgia in September of 1992, and went through airborne school at Ft. Benning, Georgia in January of 1993. He was part of approximately 100 members of the B/5-19th Special Forces Group (A) that was called to active duty in support of Operation Enduring Freedom. Headquartered in Pueblo, Romero’s unit was activated December 5, 2001 and placed on active duty orders for 12 months, not to exceed 24 months. 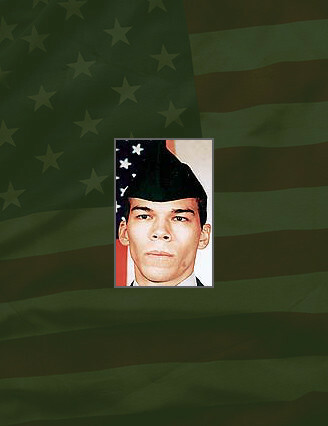 Romero, 30, was killed in action April 15th, 2002 near Qandahar, Afghanistan during an ordinance disposal operation involving 107mm rockets. The explosion killed three other U.S. soldiers and wounded another. Romero’s decorations include the Army Service Ribbon, Non-Commissioned Officers Ribbon, National Defense Service Medal, and the Colorado Emergency Service Ribbon with device. Romero also earned the parachute badge and Special Forces tab. Romero was posthumously awarded the Legion of Merit, Bronze Star, Purple Heart, National Defense Service Medal (2nd award), Combat Infantry Badge, Colorado Active Service Medal, Colorado Foreign Deployment Medal, and Armed Forces Reserve Medal. Romero is buried at Ft. Logan National Cemetery in Denver, Colorado.